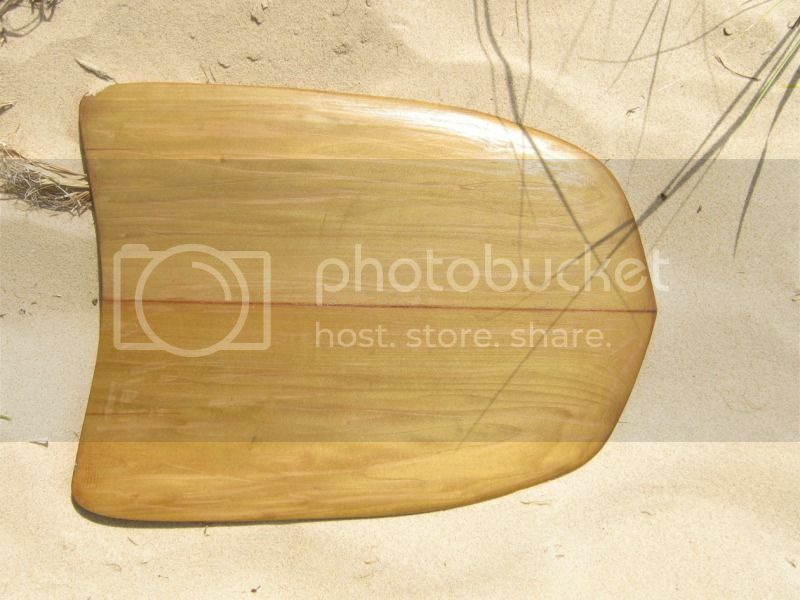 Posted: Wed Aug 03, 2011 2:07 pm Post subject: Fas Kine handboard. 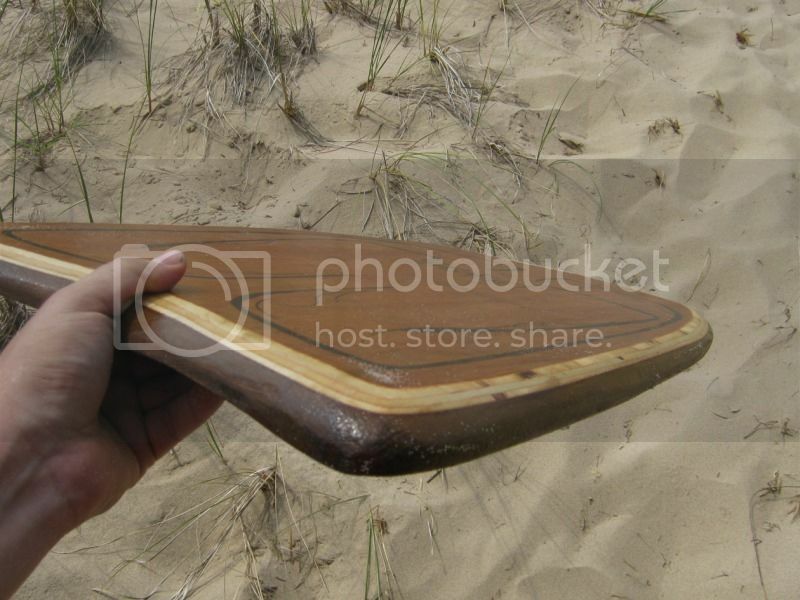 Where are you surfing the board? MrMike, thanks for clarifying. I wasn't exactly sure if that's what I should call it. Fresh water sand-bar breaks in Lake Michigan. I took it out into some 2 to 4 foot action yesterday. It handles well, but I didn't have any fins so I couldn't charge too hard with it. Unfortunately, someone walked off with it. 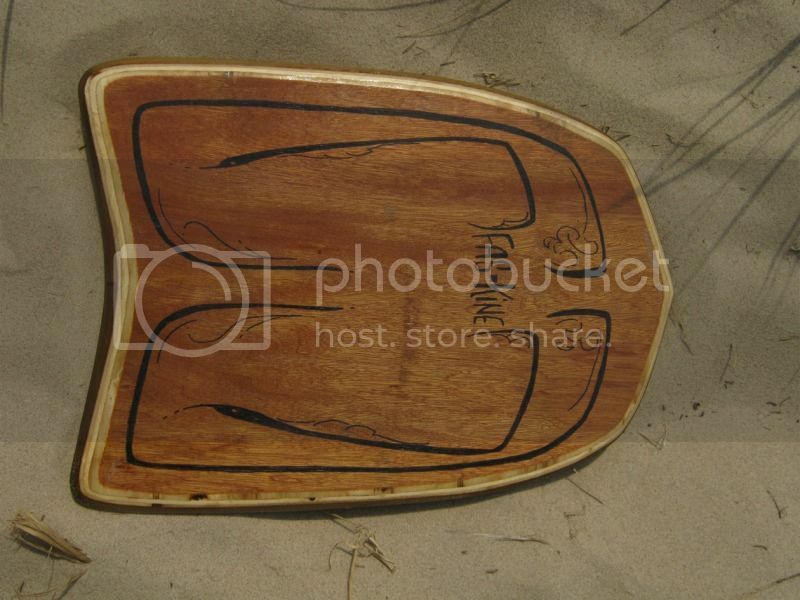 I left it on the sand while I was out on my longboard. I guess it's my fault for leaving it there instead of walking it back to my car. I put an ad out on Craigslist. I'm not too worried, just curious if it will ever turn up since it is the ONLY one like it. Luckily I made a decent cardboard template this time! Bummer. Sorry about your loss. Unfortunately, someone walked off with it. Not much worse then a friggin' thief. Hope the board turns up. 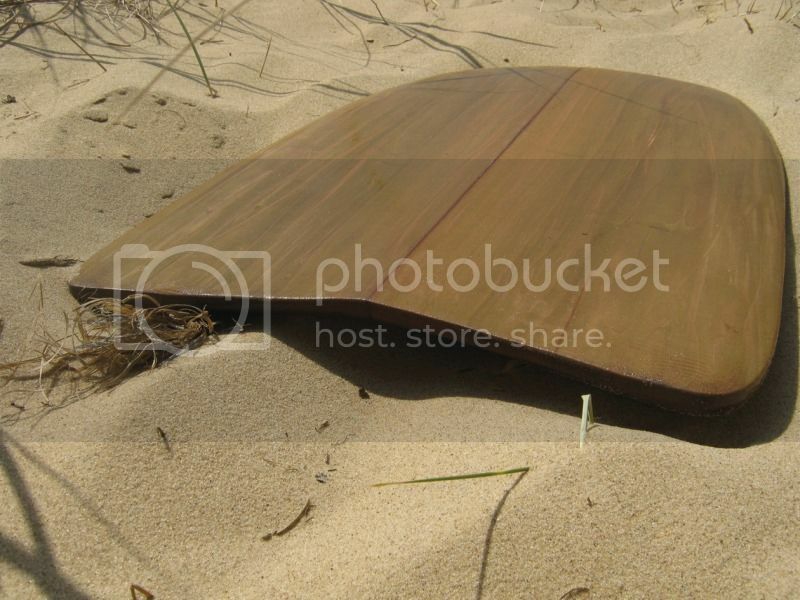 I asked where you were because I saw the saw your location but was surprised by the board photos with sand and grass, that looked like a beach anywhere else. I thought you might have had a more rocky shoreline. Look forward to seeing the next board and maybe some shots of it in action. Somehow I missed these last posts until now. We have areas that are almost all sand, and some spots that are rocky and a whole lot that are a mix. Usually pea to golfball size rocks. Our best places for waves are near the piers (which are technically jetties) because more sand builds up and when we get a windswell from the right direction the waves peel off down the sand bar pretty well.